Usually about 2-3 days before closing or the final signing, homebuyers conduct a final walk-through. This walk-through is crucial to verifying requested repairs and to ensure the home is as it should be when it closes. Without conducting a final walkthrough, you might not know if something is broken, not working, or the house has been trashed and there’s really nothing you can do about it. This is why the final walkthrough is imperative to the home buying process. At the Osborne Realty Group, we’re dedicated to our client’s complete satisfaction and want to make buying a house in Louisville as simple and advantageous as possible. So in this blog, we’re going to provide you with some tips for your final walkthrough on things to check, verify and confirm before closing. If you’re looking to buy or sell a home, contact our real estate office today! #1. 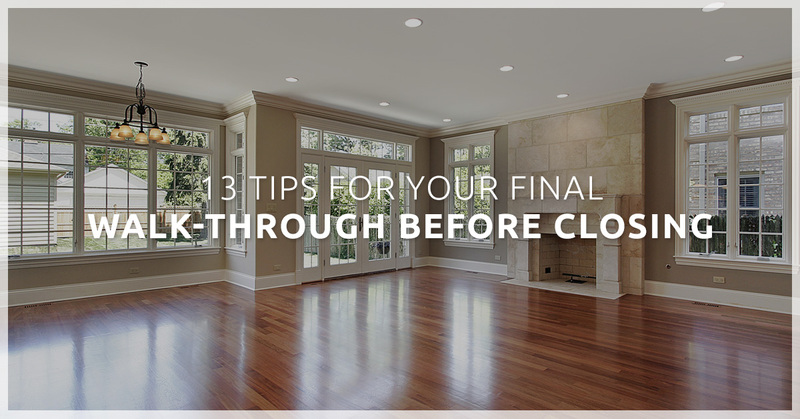 Set aside at least one hour for the final walk-through and make sure that it is done about 2 to 3 days before final closing. If the previous residents selling the house are already out, this is a perfect time to double check everything. #7. Test all the light switches and electrical outlets. Bring along a hairdryer, phone charger, or something small that can easily be plugged in to verify electricity. #8. Test all smoke detectors and CO detectors. #9. Make sure there are no leaks from faucets, water lines, or drainpipes and check underneath the sinks for any signs of mold, mildew, or water damage. #10. Confirm that all bathtubs, showers, and sinks a drain properly. Run them for about a minute to see if there is a clog. #11. Check the exterior of the home for any damage to doors, windows, screens, siding, paint, and roof. #12. Confirm that all landscaping remains the same as it was during the inspection. If large planter boxes or pots are removed, verify that the contract states what to do with them. #13. Verify that all items that were contracted to stay are still in the home such as drapes, curtain rods, and anything attached to the home itself. This final walk-through is very important. If you negate the final walk-through and move in only to find the house trashed or something damaged, unfortunately, there is very little that people buying a house can do once they’ve agreed and signed the papers. In the event that something is not right during the walk-through, closing can be extended until it is repaired or replaced. The general idea of this final walk-through is to make sure that everything is in order, no repairs are necessary, and that the residents selling the house stayed true to their contract. There’s nothing quite more frustrating in the home buying process than finalizing the deal only to realize that you have repairs left to do. Once you move into your new home, you should be able to start this new stage in your life without having to spend money and time fixing the previous occupants’ responsibilities. 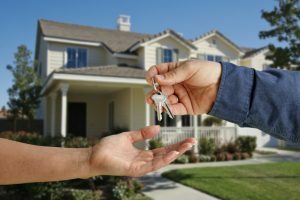 As your trusted realtors in Louisville, you have nothing to worry about. We’ll guide you through every step of the home buying process, and make sure that nothing is overlooked. Our clients come first — always. We’re focused on your happiness and finding you the home of your dreams, not trying to finalize the deal and move on. When you hire our real estate agents, we guarantee to be by your side and work diligently until you are 100% satisfied. For more homebuying tips click here, and continue to follow our blog. The Osborne Realty Group is the most trusted team in Louisville and we guarantee you won’t regret hiring our real estate agents to help you to buy or sell a house. Contact us now!